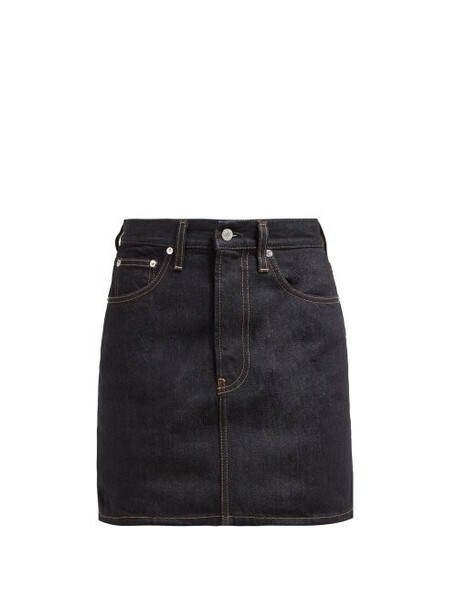 Helmut Lang - Tap the season's new mini length with Helmut Lang's indigo-blue Femme skirt. Punctuated by beige topstitching and silver-tone metal hardware, it's Italian-crafted from raw cotton denim for a dark rigid finish that will soften and fade with wear. Team it with a simple tank top and ankle boots to emulate the label's pared-back aesthetic.